What do you value most in your home? It's hard to pick out just one thing because there are so many treasured items in your possessions there is just too much competition. What's more, the more you try to think of your favourite, the more items pop into your head. Imagine trying to replace all this. Now imagine trying to put all the pieces back together without the help of insurance. Most property owners have buildings insurance. 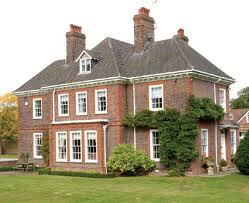 In most cases, you will need to prove you have buildings insurance before you can get a mortgage. So although it is not a legal requirement to owning a home, because most of us need a mortgage, it has become a kind of law by default. Contents insurance on the other hand is not required when you take out a mortgage. In fact, there is no governing body or organisation that stipulates you must have contents insurance, so many people try and cut corners or forget it altogether. But, with most home contents being worth tens of thousands of Pounds, it's pretty stupid not to have it. Some people are put off by the price. They argue that they might as well save the money then if something goes wrong, which they feel is unlikely, they will have money in the bank to pay for it. What these people forget however, is that quite often everything goes wrong at once, your house may be damaged in a fire or flood for example, and they simply would not be able to afford everything. Furthermore, although people claim they are putting things aside for a rainy day, much of the time they aren't, or they aren't saving enough. Home contents insurance doesn't have to be expensive. It now provides, what it calls Essential cover, which as the name suggests covers the essentials so you don't have to pay more than you have to, but still ensure peace of mind. There are other tricks and tips that can lower the cost of your home contents insurance too. For example, if you pay upfront, in one annual payment you can save 4-10% when compared with monthly direct debit payments over the course of a year. Additionally, by joining your local neighbourhood watch and installing a burglar alarm you can chop another 10-15% off the policy price.?? ?